First Yarns Put to Use! MonChere came over for a visit the other night, and began knitting up the reddish yarn I had spun recently. I am so glad! 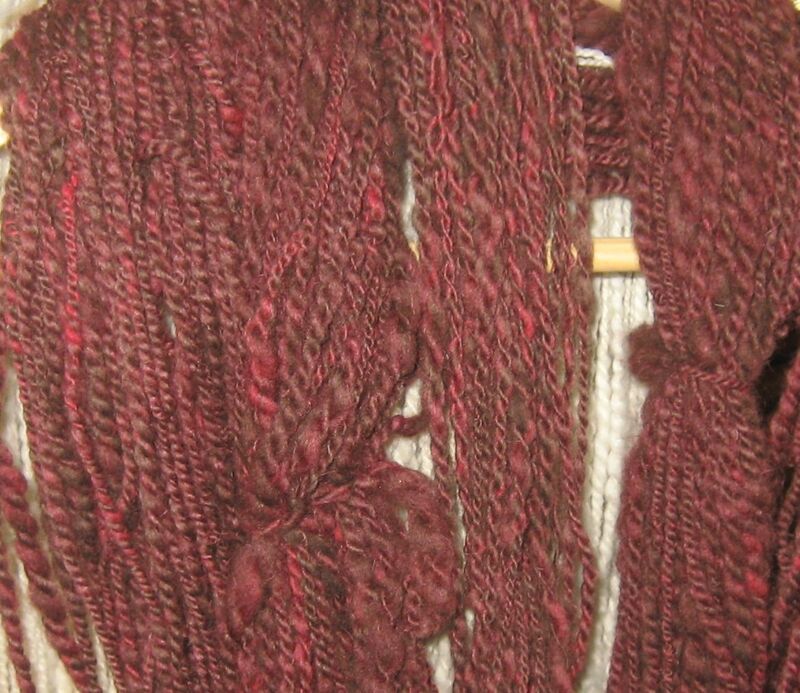 This yarn needed to be made into something. 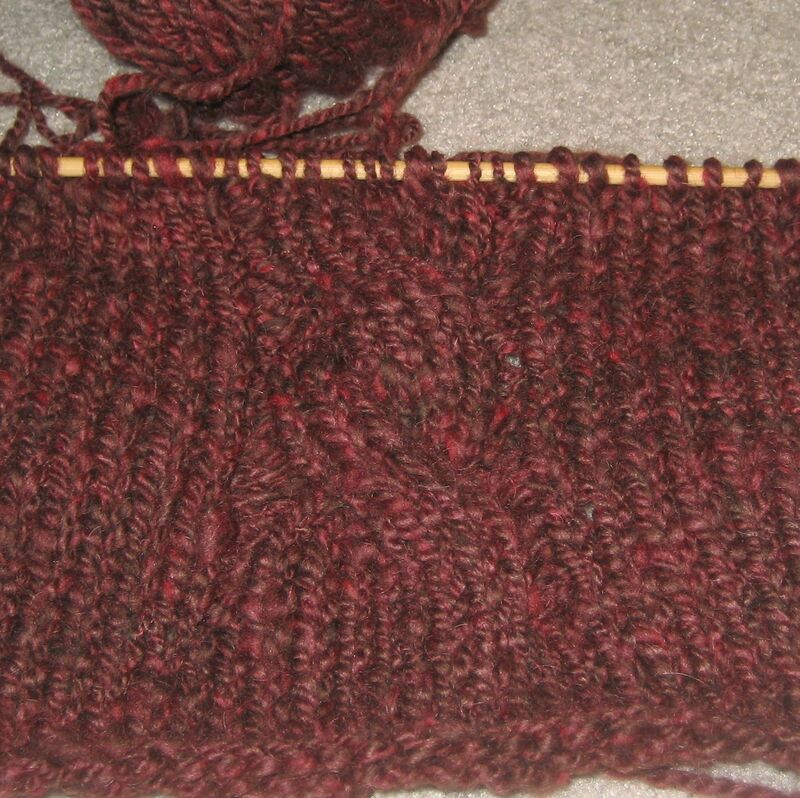 It made me feel obligated, like I was somehow failing the yarn by not giving it an identity as a finished project. MonChere solved the problem. I think we’re onto something here. 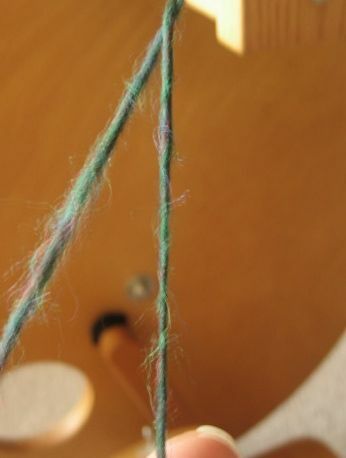 I spin and spin, and then feel obligated to the yarn I’ve spun, having no clue what to turn it into. 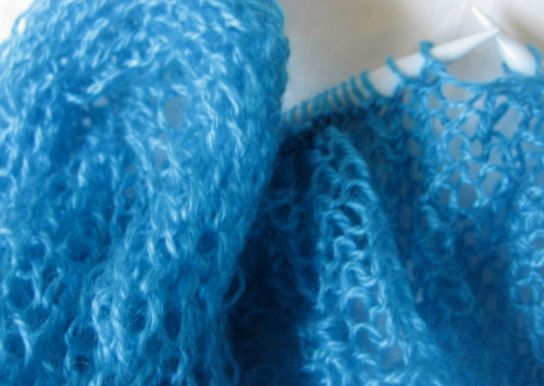 She has no interest in spinning, and sees finished items in the yarn, like Michelangelo and his stone. 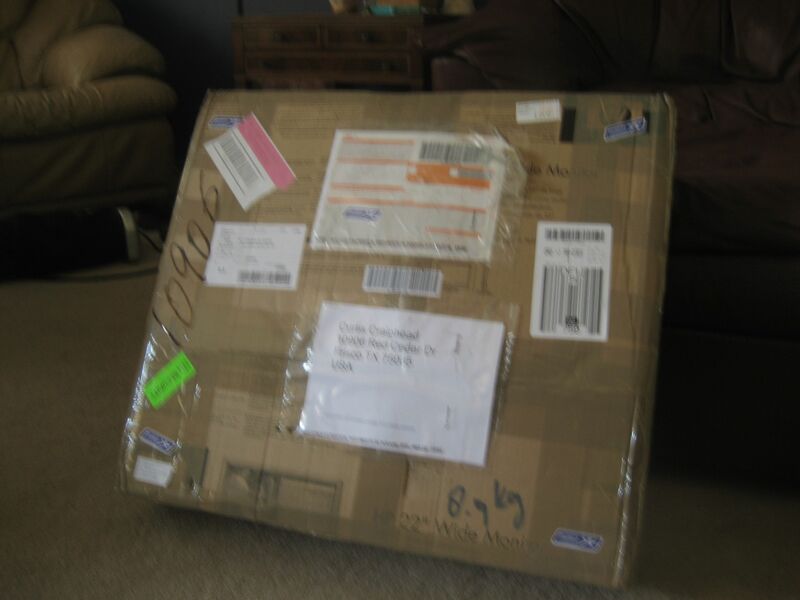 Here’s a picture of the front of the bag–as far as she got during our visit. 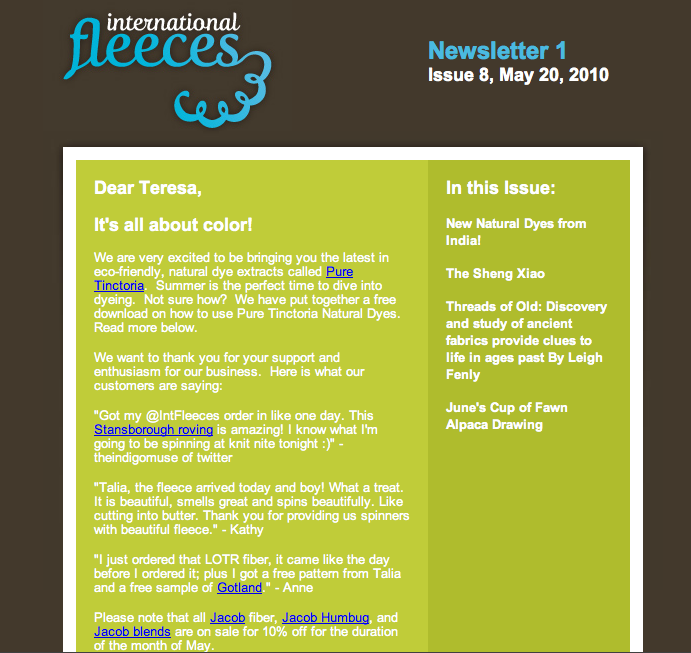 You simply must meet Talia Sommer of International Fleeces, and read how she began her business because of a mosquito, and her love of spinning. 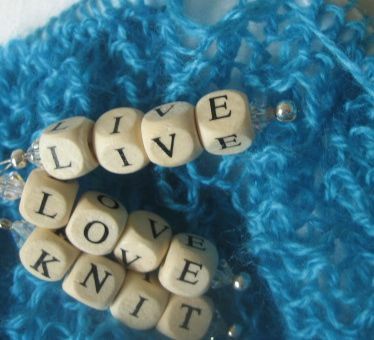 Her website is beautiful and informative, and she sells everything the spinner or fiber artist needs to dive into the wool and never come out! I am interested in natural dyeing techniques, and plan to do some of this over the summer. How providential that I received her newsletter today, promoting the joy of dyeing with natural dyes! Her pricing is extremely reasonable, and she has a wide range of fibers (I cannot wait to get my hands on this baby camel and silk tussah blend at only $4 per oz.) Go visit her and sign up for her newsletter! Talia also writes a very informative and well-researched blog. 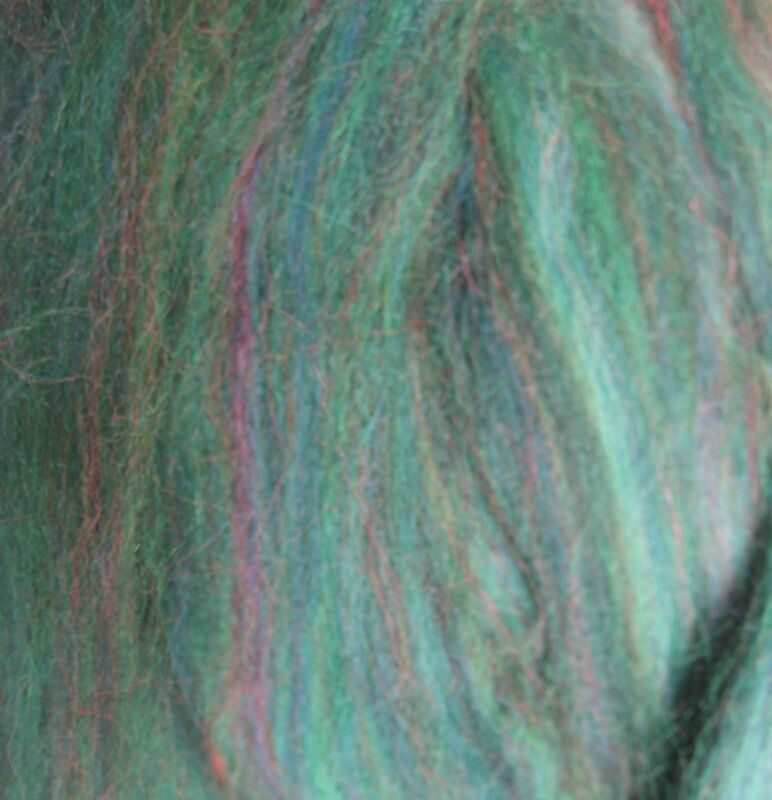 As a new spinner, I am learning the differences between the fibers–wool, plant fibers, blends, and what sheep was that? 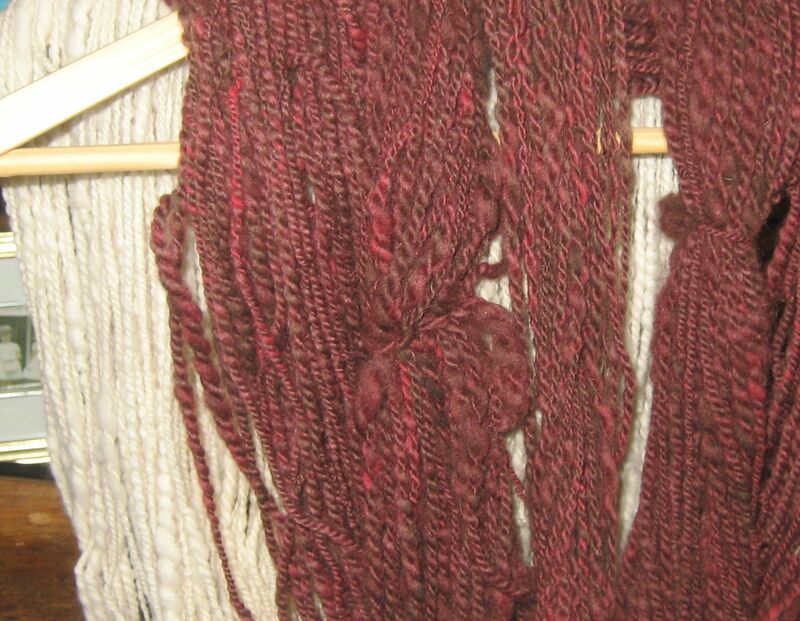 Talia has a series in her blog of “Focus on Fiber” in which she gives great information on breeds, their history, and the characteristics of their wool. Interested in Merino, Jacob, Romney, or White Faced Woodland? But mainly I like Talia for her story and her picture. Doesn’t she just look like someone you’d like to know? I think so. 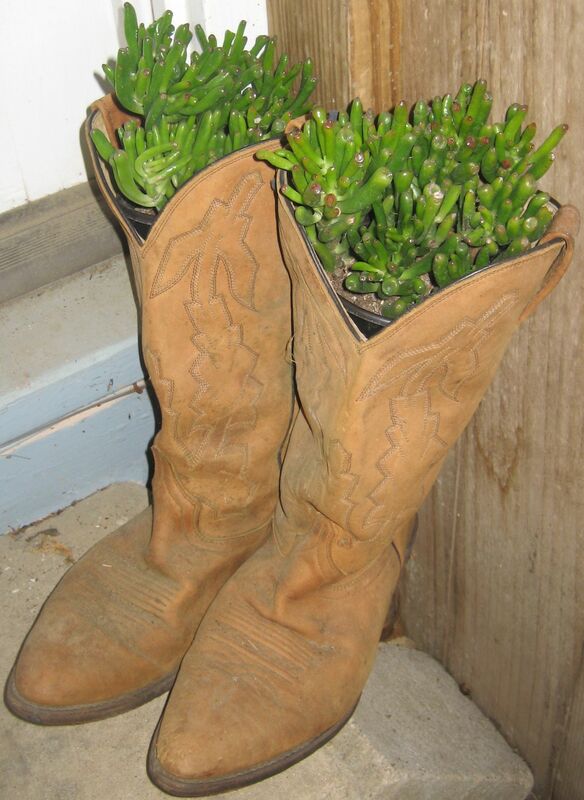 I love visiting my mom’s house in the beautiful Texas hill country. There seems to be a peace in the hill country all its own–the many clear rivers, the luscious greenery, interesting caves and hills and canyons–the area is a treasure. 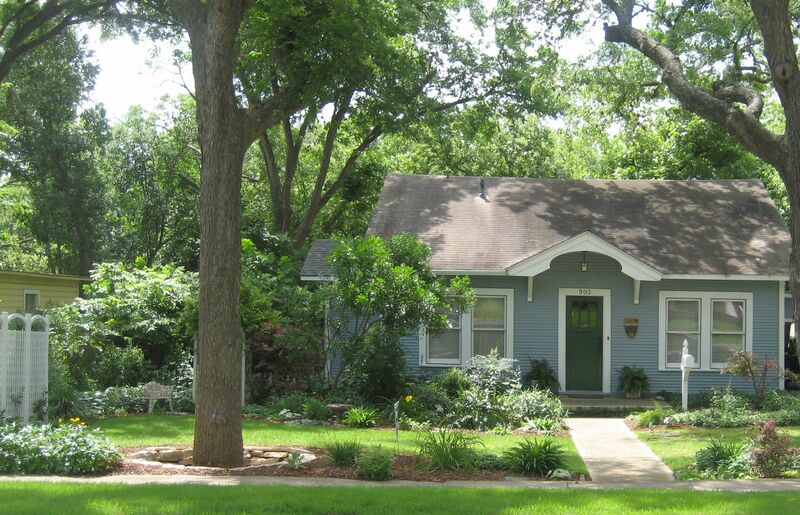 My mom’s house is a treasure too, a tiny 1911 cottage with a huge yard that she has completely transformed in the twelve or so years she’s lived there. I see now that my mom is truly an artist. She’s also a mom, and a professor, and a friend, and a colleague, and a writer, and a speaker. I respect and admire all those things about her. But one huge reason I like going to her house is to be in the middle of her artistic expression, and to feel the way it makes me feel. Engaged. Interested. Peaceful. Happy, even. Surrounded by beauty and art. 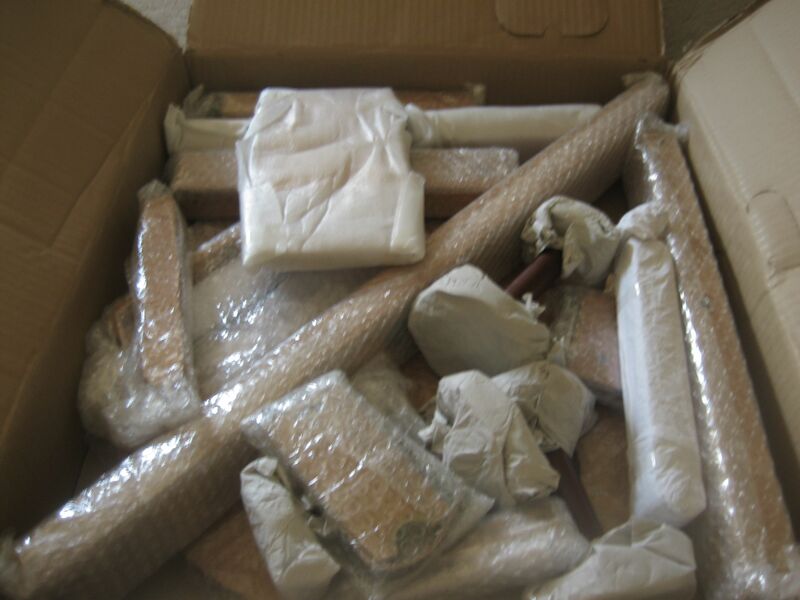 None of it is “museum art”. You won’t be impressed with famous names or even pieces that look like they should be in a museum. Her art is truly expressive, mostly folk art and functional art. 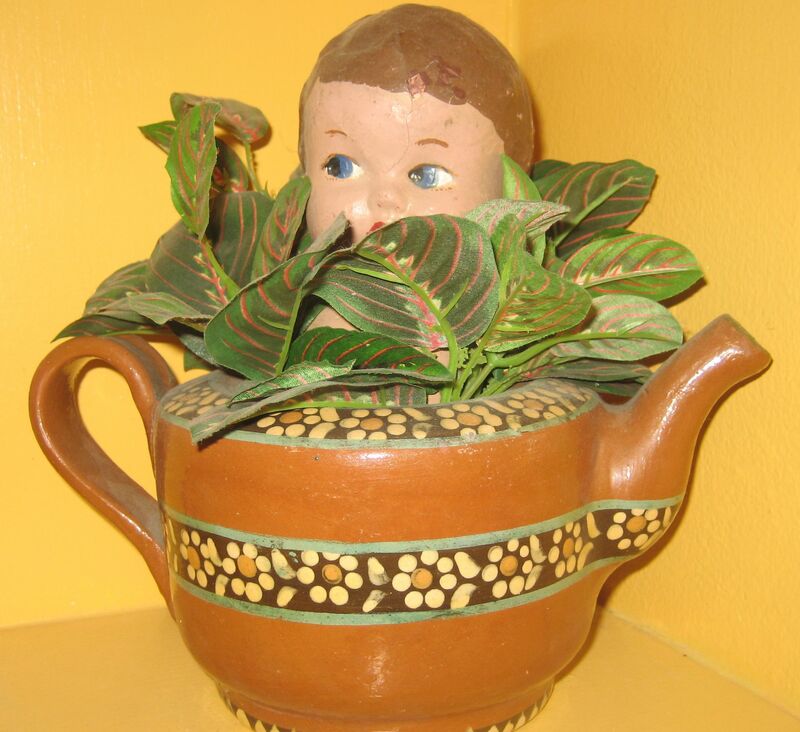 I mean, she has an antique doll head on top of a plant in a teapot. Who does this? Well, she does, and it’s fabulous. On the long drive back to my home, I started thinking about how I feel in her house, and why I like her particular style so much. Maybe partly because she’s my mom, and I seem to have inherited her “quirky” gene. But I think it’s mainly because everything in her house feels intentional. Every beautiful or even strange object (like the doll’s head) is placed precisely where she wants it to be, with intent. This feels substantial to me, and I like it. It is artistry. Functional art intrigues me very much because it represents the creative spirit in all of us (see Angus’ post about Art.) Shaker furniture may be the most recognized example of the best of functional art–pure beauty in its simple lines and curves, the best artistry and craftsmanship in its making, and an enduring statement about incorporating art and beauty into our daily mundane tasks. My mom has a lot of functional art in her home. 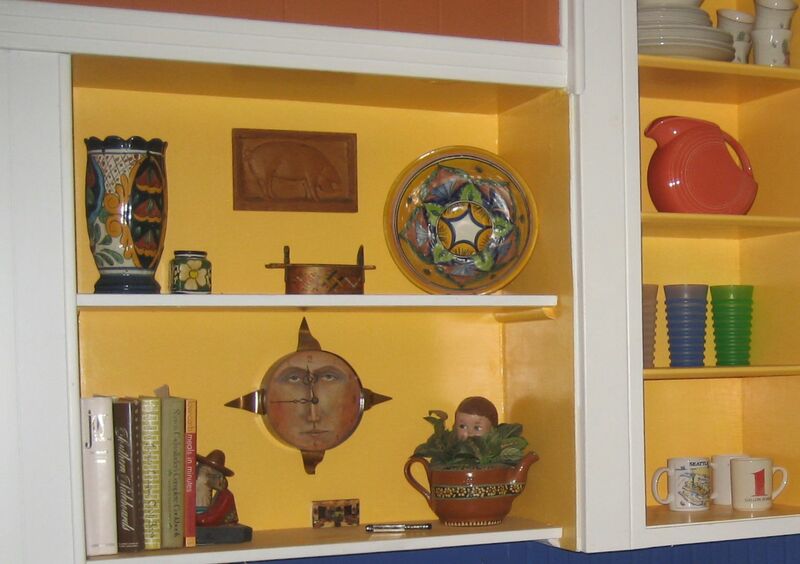 The plastic cups we drink from are even artfully colorful in her exposed cabinets. But there’s a reason they aren’t just plastic cups, but are instead colorful, textured, and perfect for the spot. The reason is because she’s an artist, and her home is her canvas. I want to grow up to be just like her. 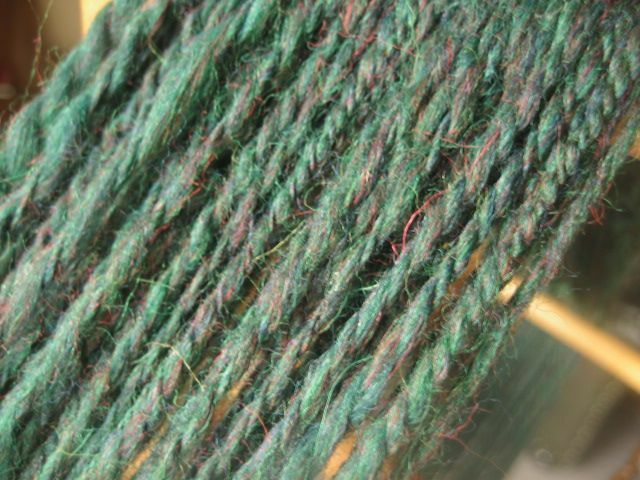 Here are pictures of the first yarns I have spun since beginning 8 weeks ago. 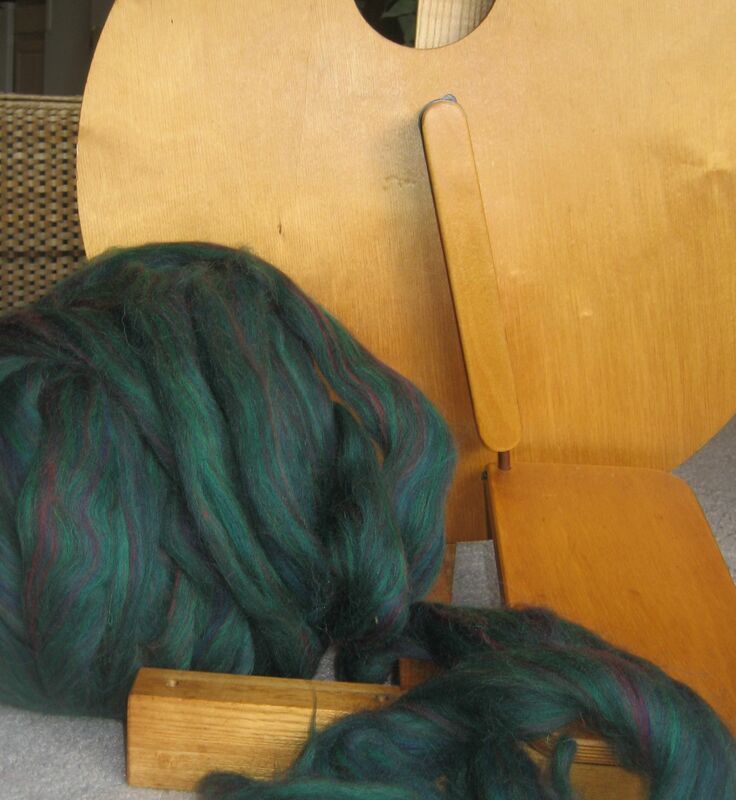 I have no idea what to do with the yarns now, but the joy of spinning them will not soon leave me! I’m not sure how long it will take me to get over being flabbergasted at the discovery that the spinning wheel is modern compared to the length of time humanity has been wearing clothing. 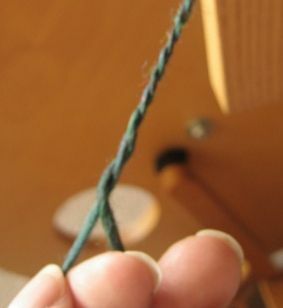 Which of course means that prior to the 14th century (12th in China) every length of thread or yarn on earth was spun with a spindle and a pair of human hands. Though trade centers probably developed very early in human history for cloth as it did for other necessities, still somebody had to take that wool or flax and turn it into usable thread and yarn. 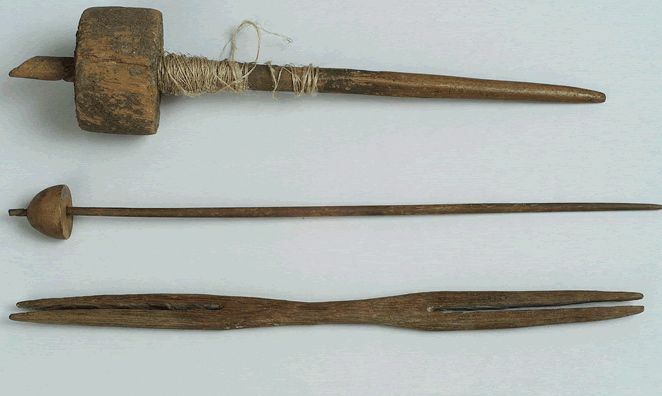 Pictured here are two spindles and a netting needle from ancient Egyptian finds. This is the tool that wove history! (Honestly now, aren’t you amazed??) 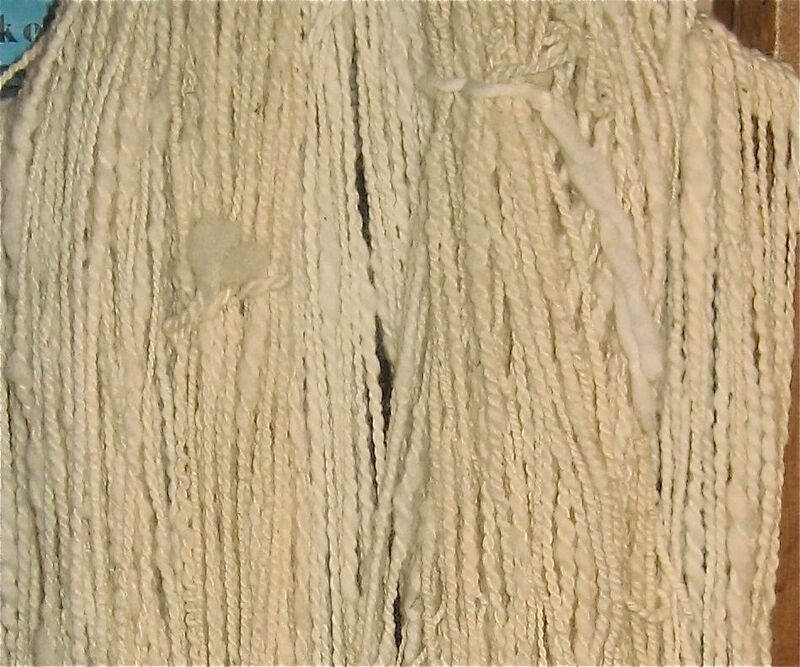 I read recently that the Egyptians didn’t wear much wool; they mainly spun flax into linen cloth for clothing. 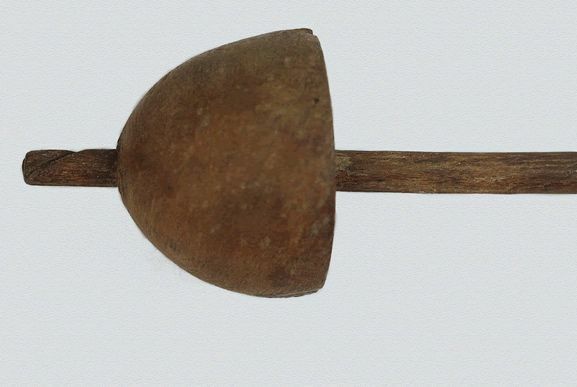 But the tool remained the same across all cultures, whether you spun from sheep, goats, camels, buffalo or flax or silk. Notice the notch in the top of this spindle. This marks the place where the magic happens in spinning. Loose plant or animal fibers are held in one hand, and fed onto a device that “spins” the fibers, which causes them to grab onto each other and basically lock together. That is an astounding bit of physical science and physics all its own that we’ll get to one day! 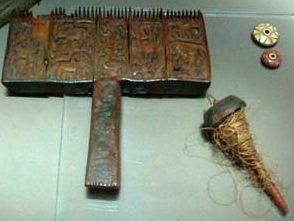 This photo was taken of a case in the Coptic Museum in Cairo, Egypt and shows an ancient carder, spindle, and two whorls (those round disks at the top). 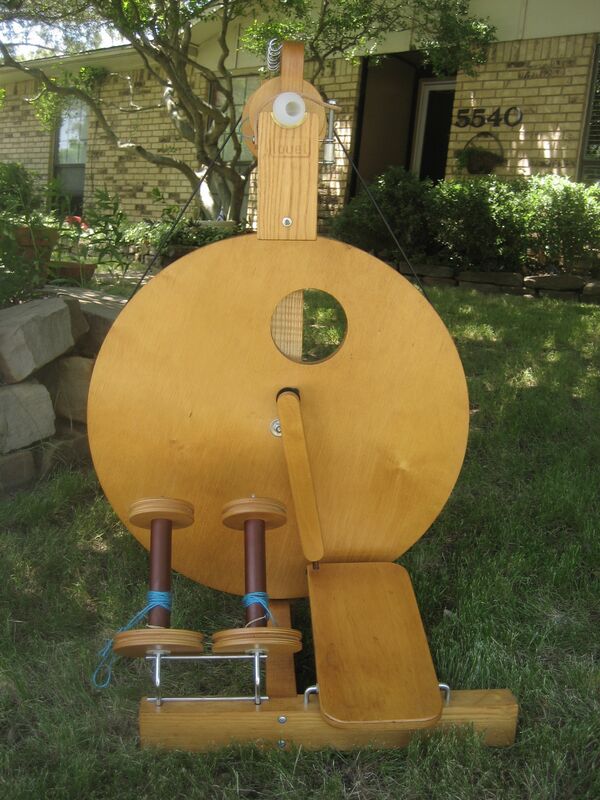 Carders were used to pull the fibers in the same direction to make spinning more efficient. 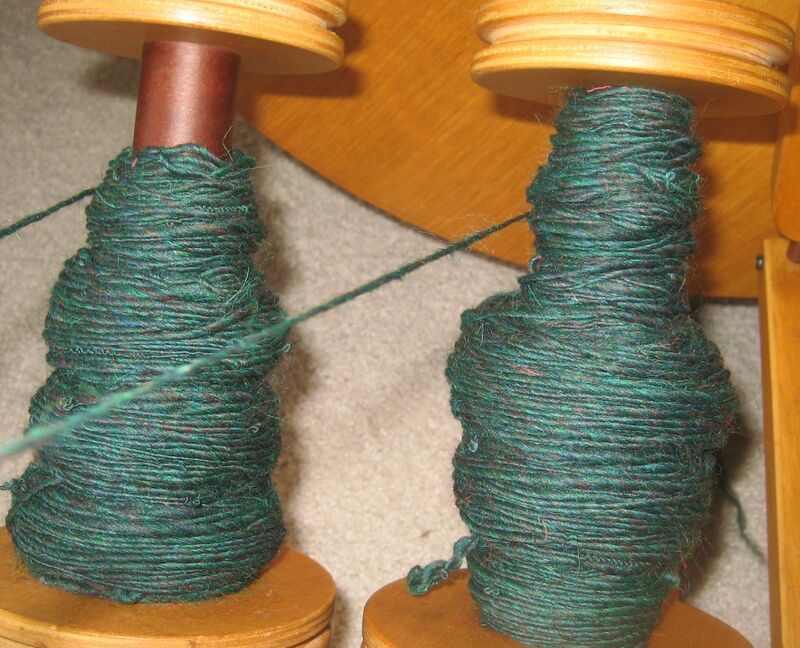 The whorls were used on the spindle to change the thickness of the thread/yarn being spun by increasing or decreasing the amount of “spin” added to the fibers. Hey, now the political practice of spinning makes a lot more sense! The aides are the “whorls” that control how thick or thin the cover stories need to be! You Don’t See That Everyday! I returned from a trip to Boston last night, and as I waited outside the terminal for my daughter to pick me up, I took out some knitting I had carried with me. A mid-forties’ man walked by me and did a double-take. A huge grin spread over his face, and he said, “Now, that’s something you don’t see every day!” He nodded in my direction, and went on. He’s right, I thought. You really don’t see people with handcrafts in public much. Which of course got me thinking about a time when making your own garments was the only means you had of staying clothed. Now that’s a motivator! MonChere arrived on Sunday with a giant bag of roving that had been sitting in her closet, unspun, for 12 months. Her gift to me is not the roving itself, it’s the spinning of it!! I warned her that I am still a beginner, but she seems okay with that. I hope to give her back yarn as gorgeous as this roving. I love this gift! 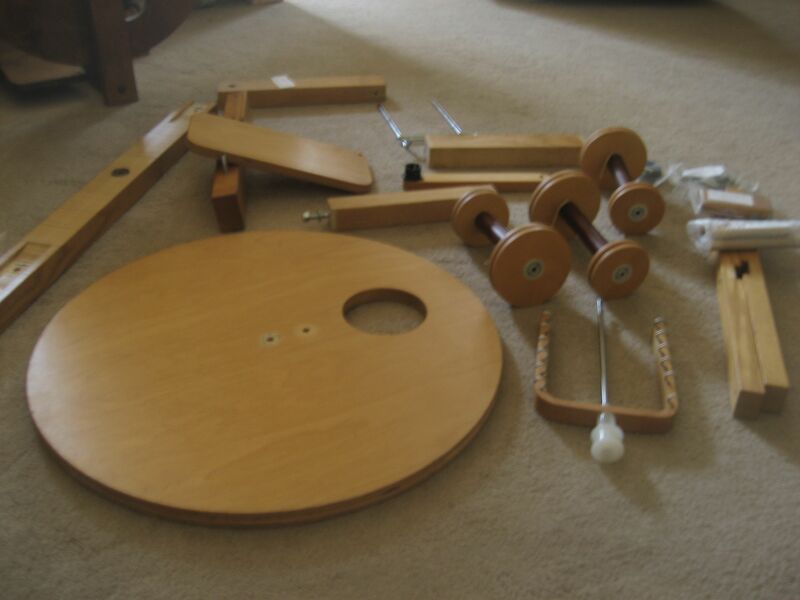 I can’t wait to start spinning. I had such a wonderful Mother’s Day weekend! 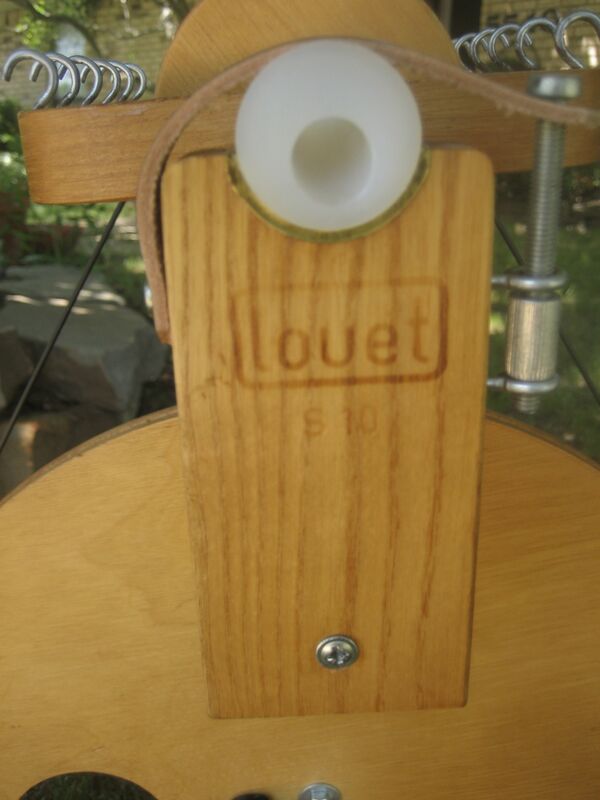 My very own Louet wheel finally arrived from The Netherlands! Thank you, Laurie and good son Hayden for helping me put it together! 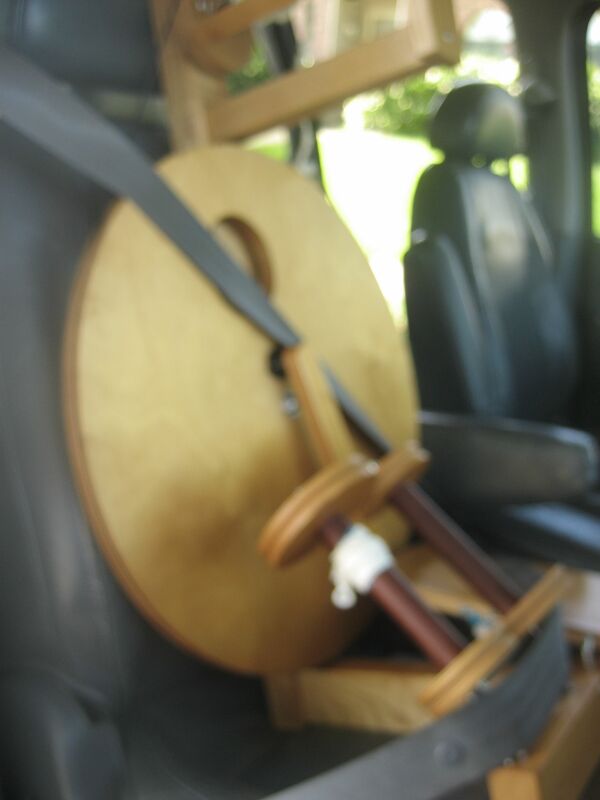 Must stay safe driving home.